Digitalize in-store measurements with our leading Image Recognition solutions for Retail. Get real-time actionable insights from a simple shelf photo. And ensure shelf reality is always compliant with your Picture of Success. PlanoCheck helps you turn shelf pictures into insights, and insights into action. PlanoConvert automatically transforms in-store pictures and pdfs into planograms in any format. With PlanoManager, you can build planograms in a matter of minutes. Latest AI advancements and especially deep learning are game changing in the retail industry. Now the power of computers combined with the number of images that can be sent, stored and processed, unlock the potential of image recognition. Our proprietary image recognition platform is powered by this cutting-edge technology and it allows Planorama to take full advantage of the amount of information present in pictures and to adapt in real time to in-store packages/products evolution. So you can measure with an amazing precision the difference between the reality in stores and your expectations. Meet Pedro. (He’s the lovely guy patiently answering the same question for the 6th time in a row in the picture above). 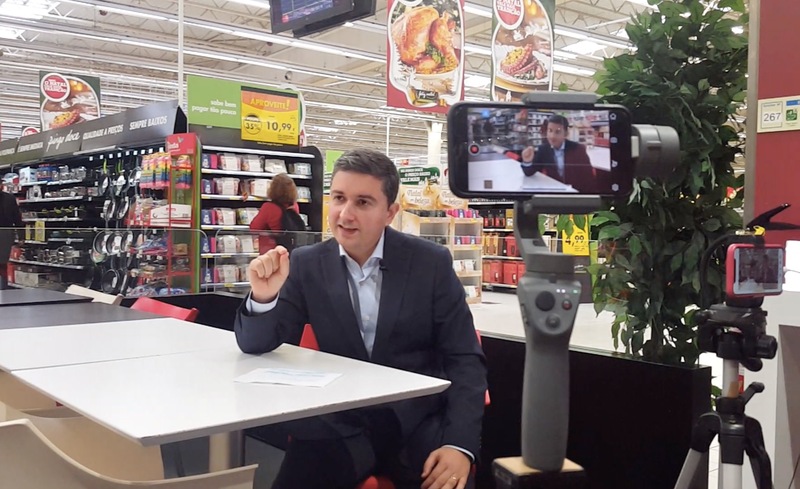 Pedro Duarte is Head of Customer Marketing in-home at Unilever Portugal. Pedro has an impressive 15-year of professional experience mainly at Diageo and Unilever. At Unilever Portugal, he is on the ambitious mission of winning shoppers across channels and clients. “Everywhere, everyday!”. Yes, Sir! Let us show you how working with Planorama can help you identify performance gaps and revenue opportunities at all points of sale. Give us your details, we’re only a 30-second form away.